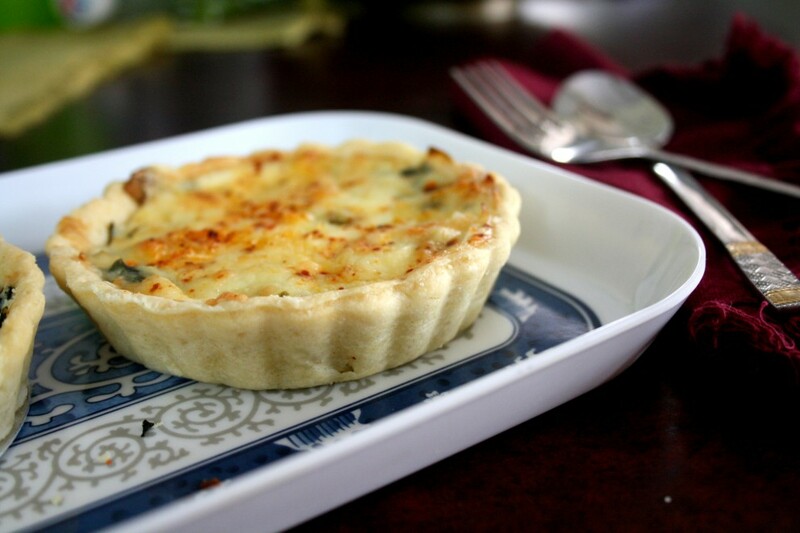 For the final day of making Member’s Choice, I had decided on Quiche. I went about checking on different recipes that I could make. 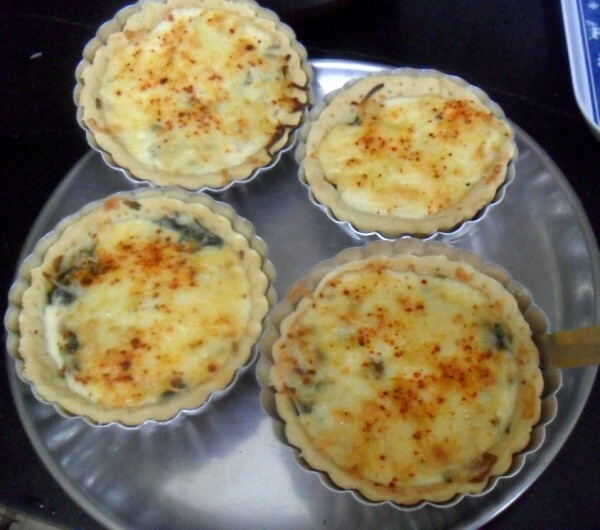 Quiche is from french cuisine which predominately uses eggs. I then had the task of making it eggless. 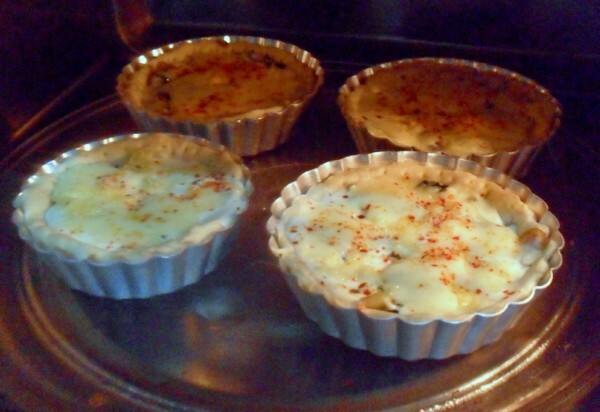 Luckily I landed in couple of eggless quiche recipes. First I checked out Vaishali’s version and then Gayathri’s version. I finally settled on Gayathri’s as I had more of it handy. As days went by, I hardly had time to make these. So the final day that was left out was the Sunday. And one day was all I had to make posts of two days. This was my lunch followed by the dessert that was so tempting! It was a delicious wait, once the quiches were done. 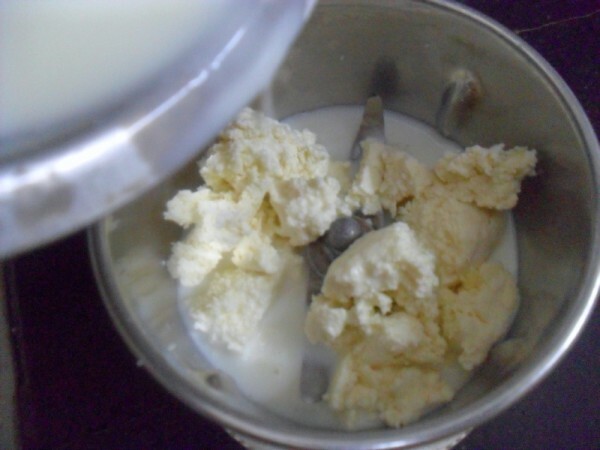 Everybody loved it and I am sure I am going to be making this sometime again. I guess I am unable to write more of what I had in mind, with a distraction that was hard to miss. So will be back to write more later. 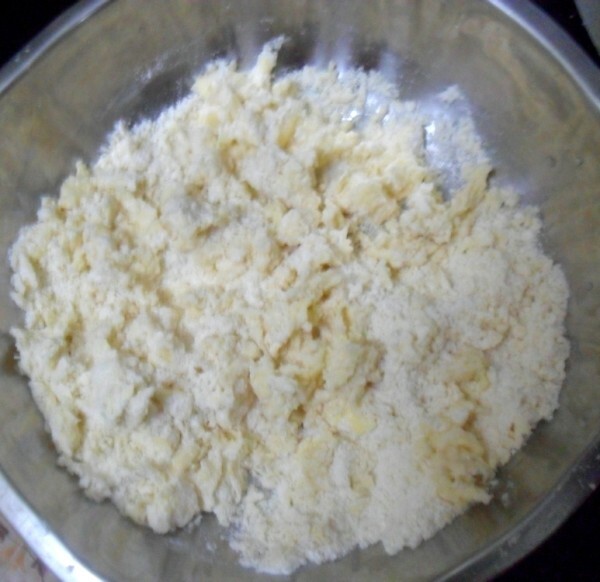 Mix maida, butter, sugar and salt and mix it with finger tips until crumbly. Add the cold water and bring the dough together. 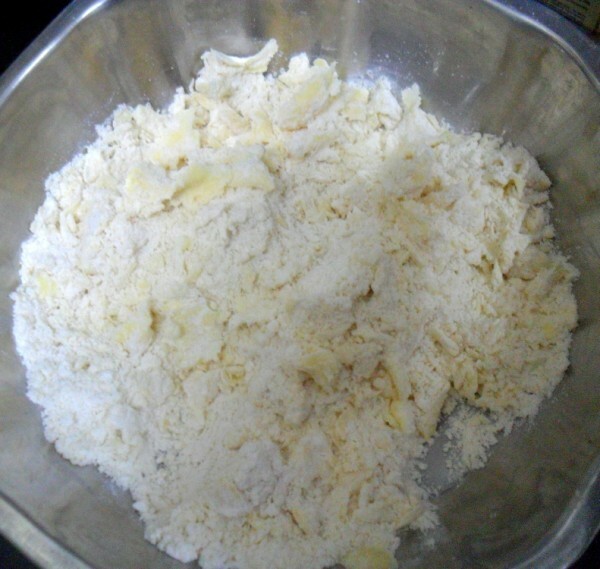 Knead to a dough and refrigerate for 30 mins. 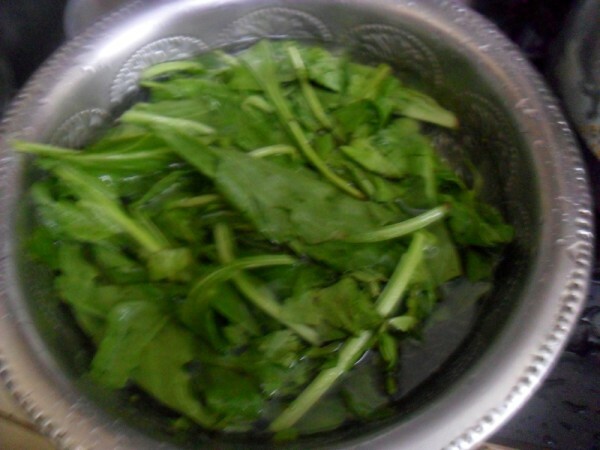 Finely chop onion, green chillies and spinach. Heat butter and add onion and green chillies. 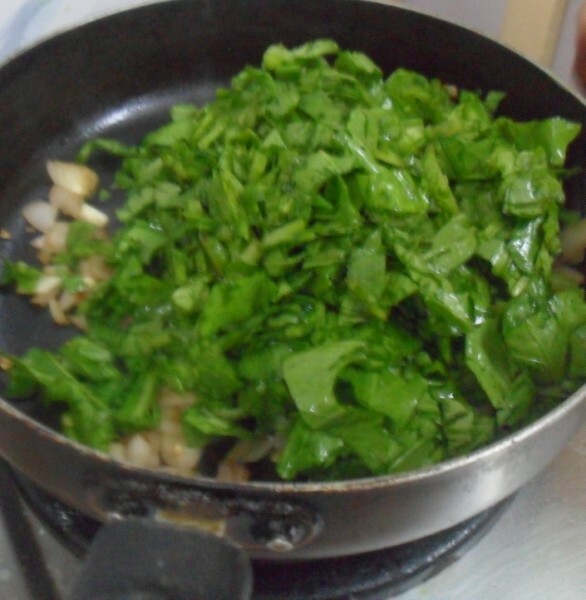 When the onions turn colour, add the spinach and salt. The spinach will wilt. 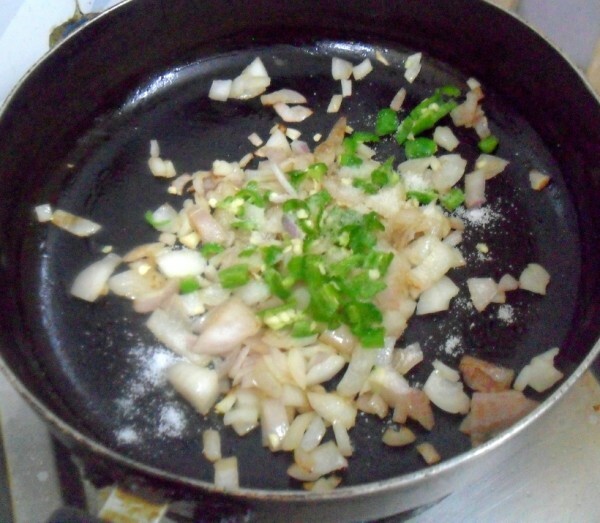 Saute it becomes dry. 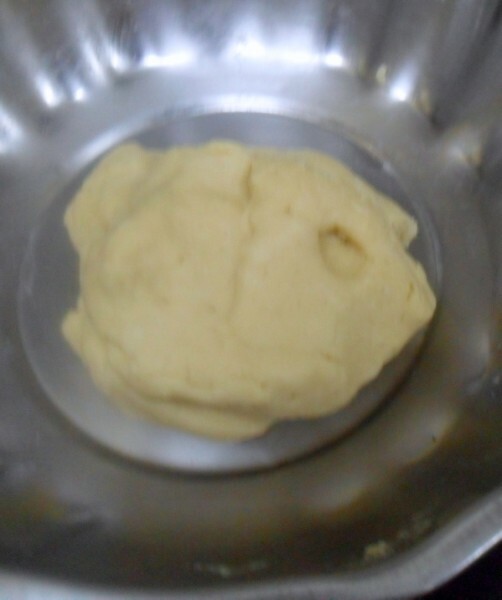 Divide the dough into equal balls, dust and roll out into thin discs. Grease the molds, and transfer the discs and press it firmly on the pie dish. 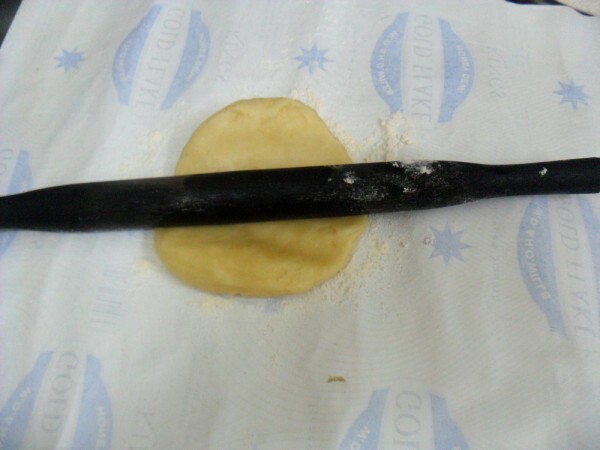 Prick the lined dough with fork. 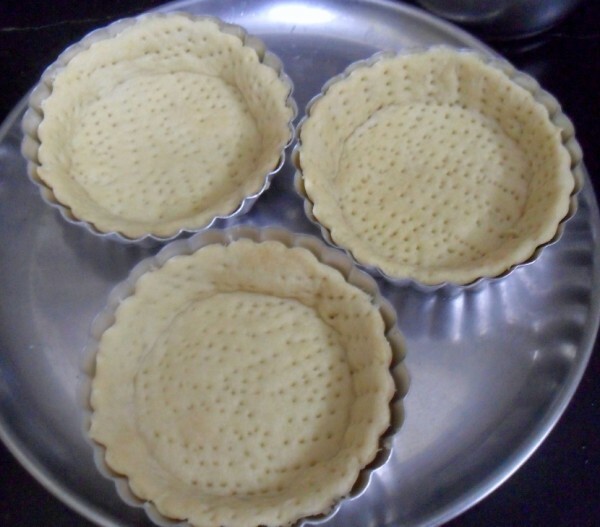 Bake the pies for 25 mins or till the top gets brown. 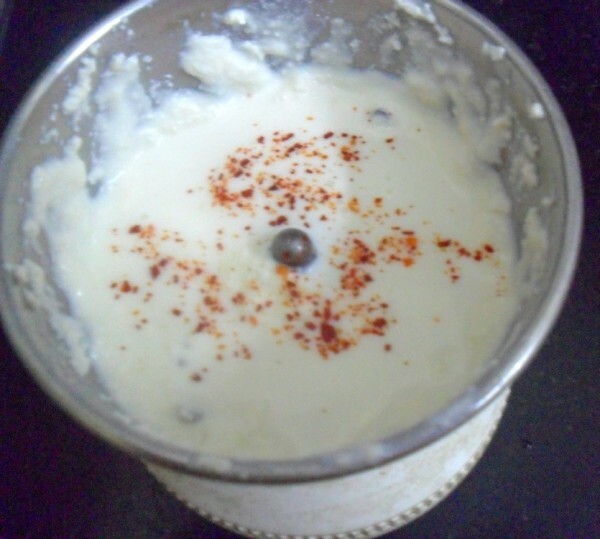 For the Paneer sauce, pulse the milk and paneer together along with Red chili flakes. Spread a portion of the cheese on the crust. 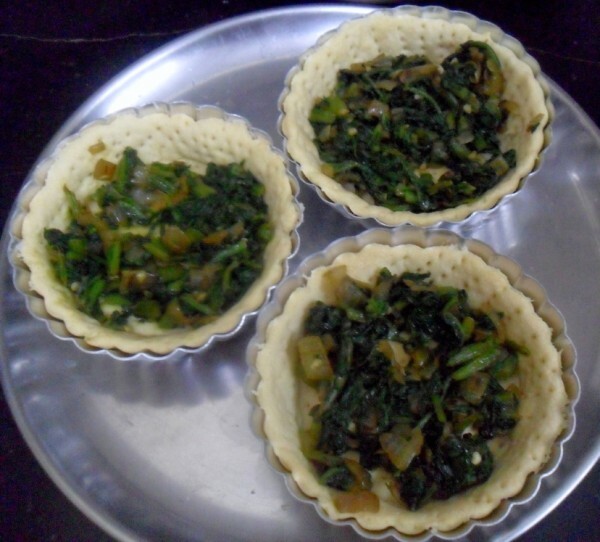 Divide the spinach mixture among the pie crusts. Sprinkle another portion of the cheese on it. 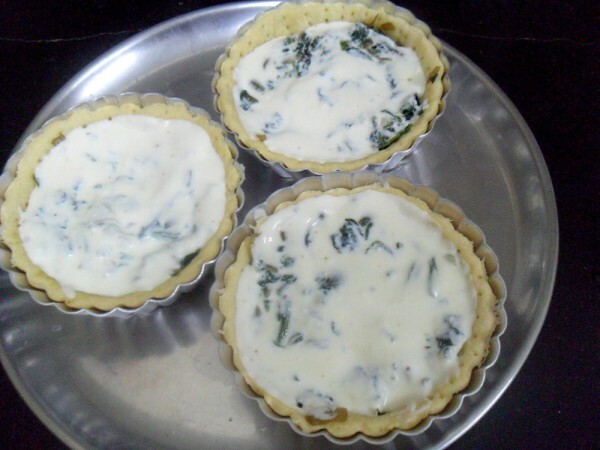 Divide and pour the milk paneer mixture on the quiches. 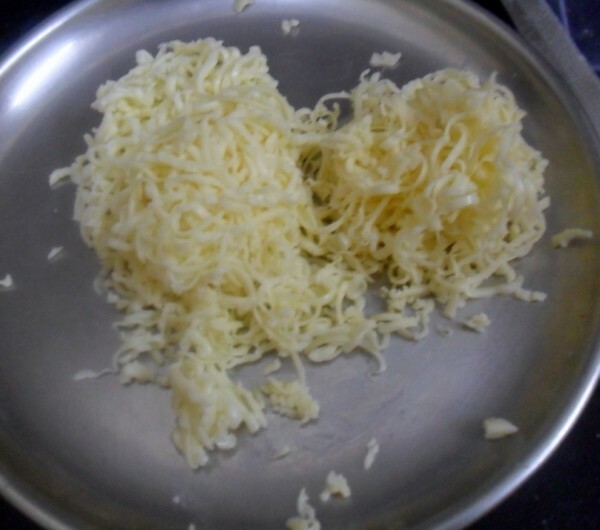 Sprinkle the remaining cheese on top. Finally sprinkle the red chili flakes on top. Bake on the middle rack for 20 minutes, till the top is browned. Since the bottom is loose, gently push it from bottom with another object. Gently transfer to a serving plate. Slice it up and serve tomato ketchup. 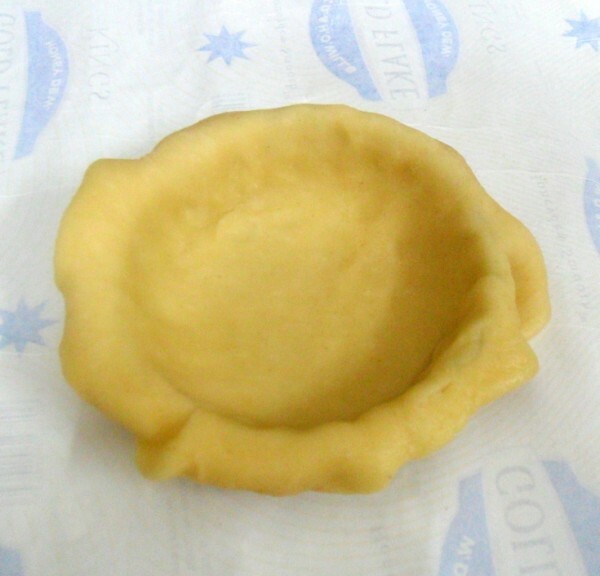 Don’t fill the crust to the rim. Leave a little gap. Otherwise the filling will ooze out from the quiche. Slice with a pizza cutter for even shape. 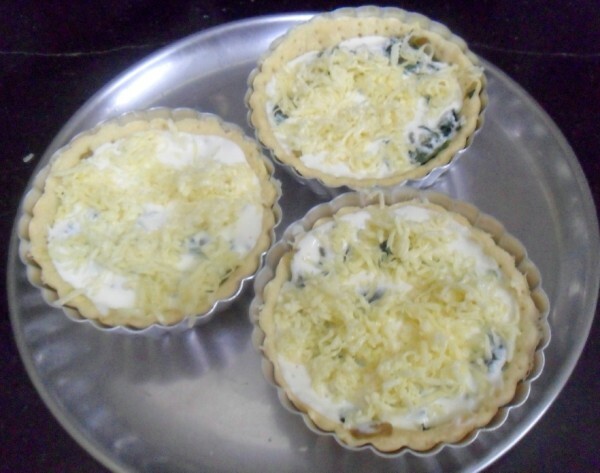 My kid's favourite, he can have quiche even everyday..Looks soo cheesy and healthy. 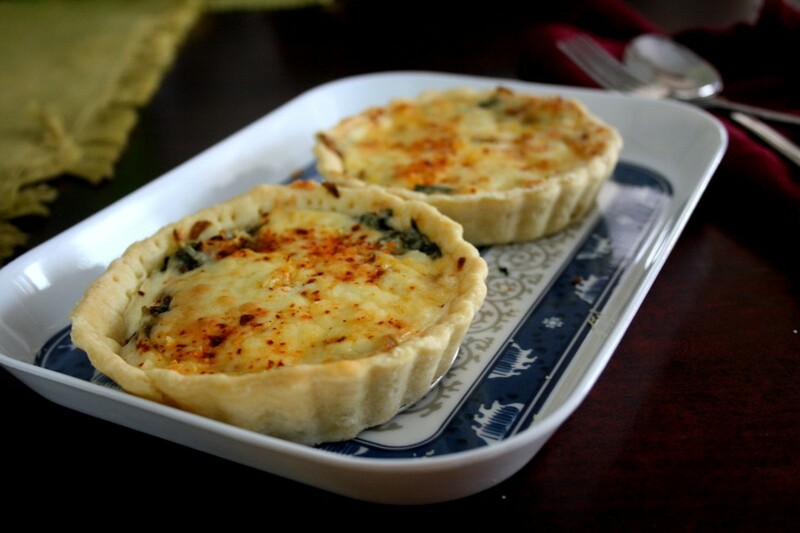 Quiche is something I've never made because of the crust — it sounds too completed to me. Valli this is one of my favorite ones..it's turned out so well..only wishI could have a bite from it..looks awesome. Like the eggless idea with paneer. will try this version tooo. perfectly made Valli,looks super tempting..bookmarked. Looks very delicious Valli. 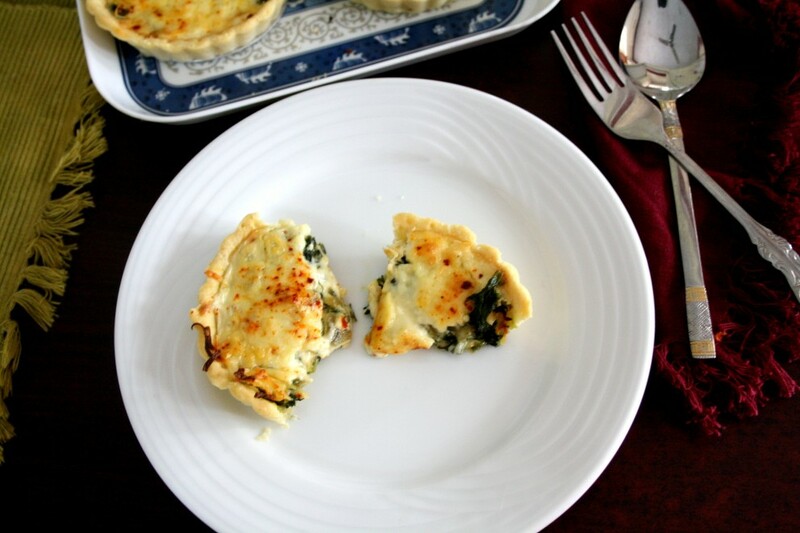 Have to try this, so that my son can eat some spinach. 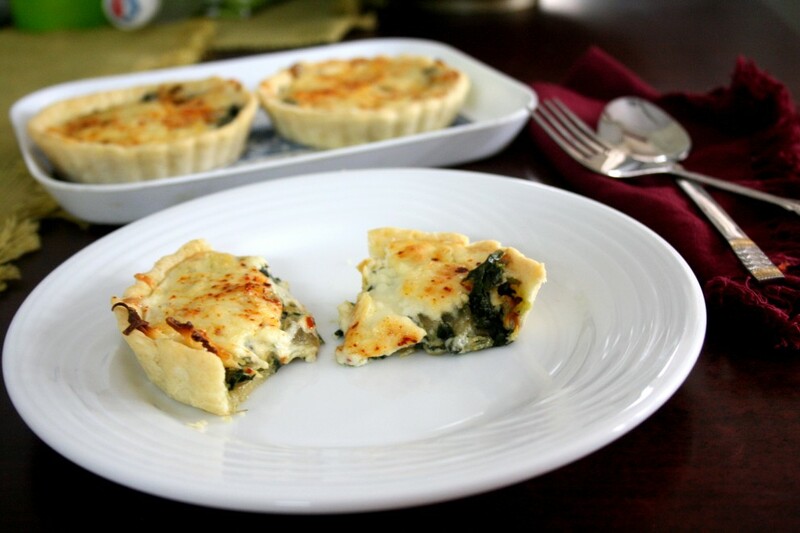 I am sure the kids will love these cute bowls of cheesy spinach! 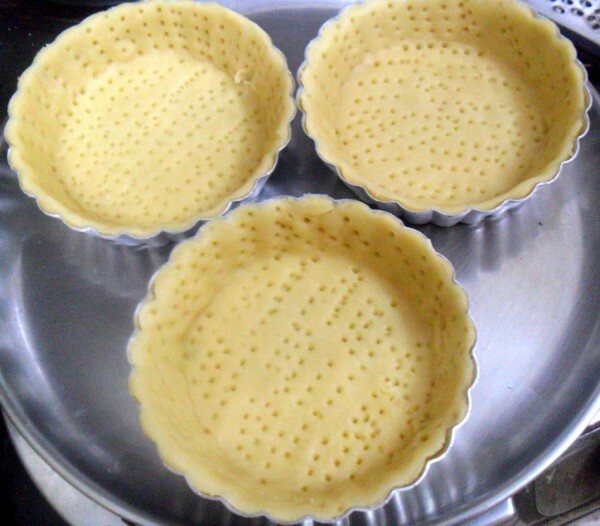 yumm yumm…when will it be baked again? 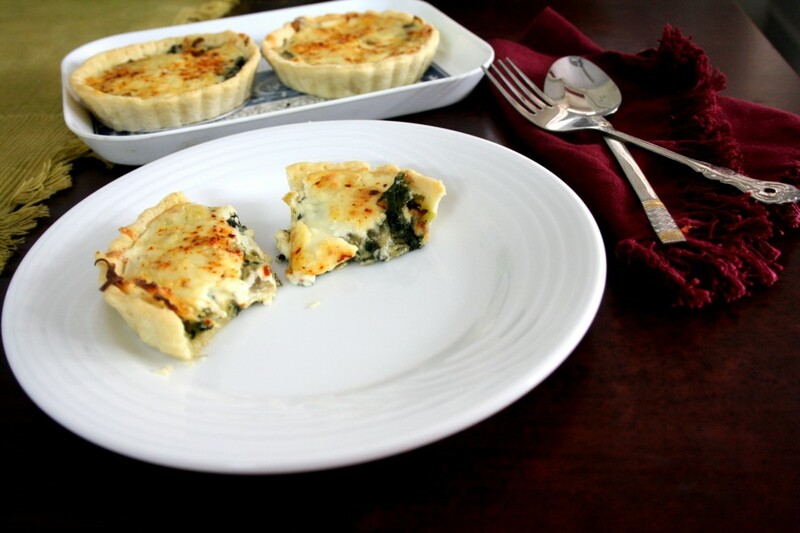 This recipe looks yummy, delicious and healthy. I am going to try it. Looks lovely! Which type of cheese have you used here? Would mozarella do? Iris, I have used Britannia processed cheese here. 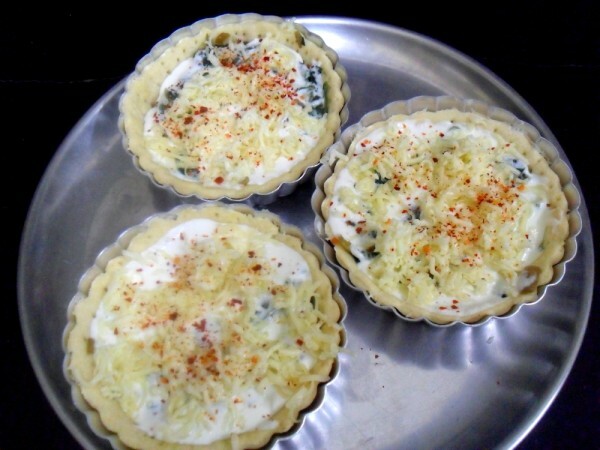 Since we are only topping it and then baking, mozarella should also work. This sounds yummy. Can I make these in advance and freeze them to be bake in a few days? 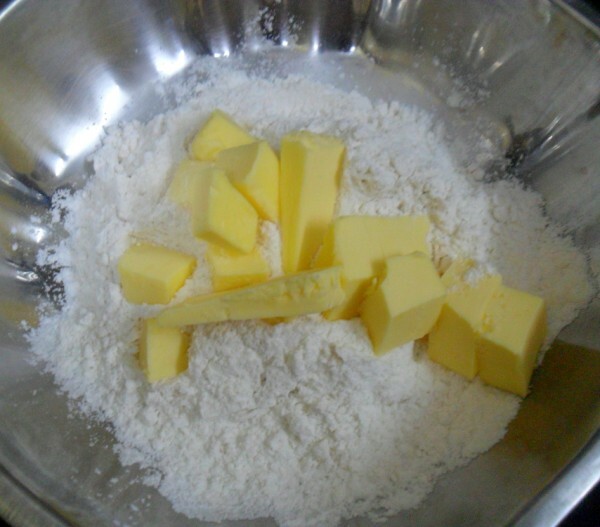 If so what process should be used when baking from frozen? I have not tried freezing these so I am not sure how it will turn out. However, as any dish that you can freeze, best option is to have all the components ready and assemble just before serving. This only takes 20 mins to get done. You can always warm it again.